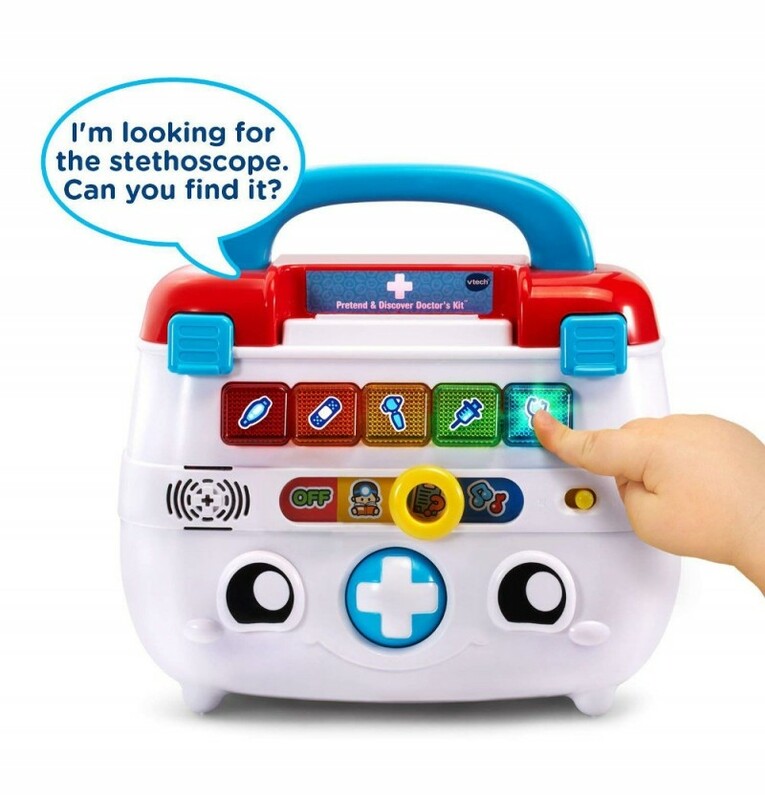 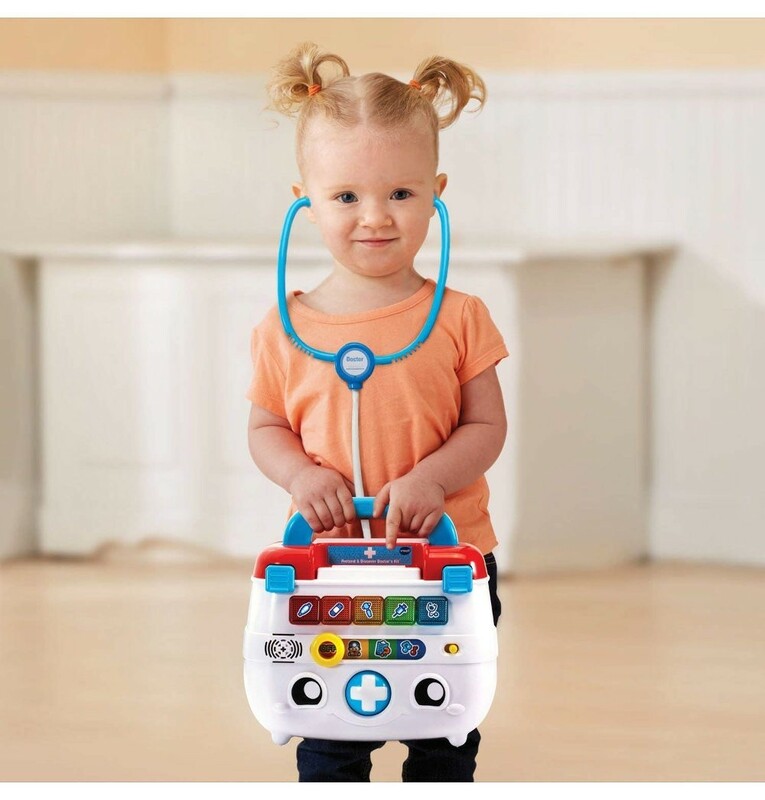 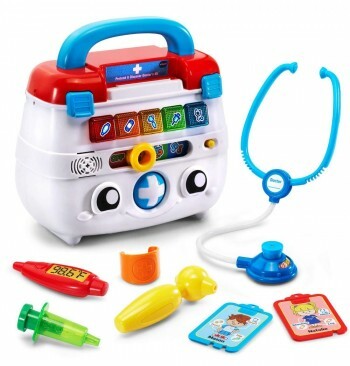 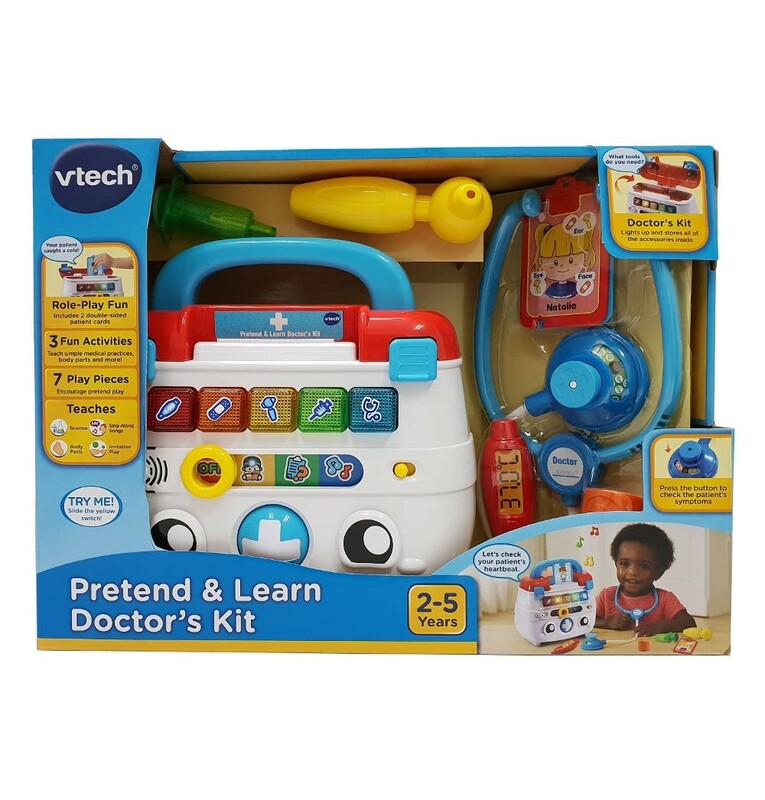 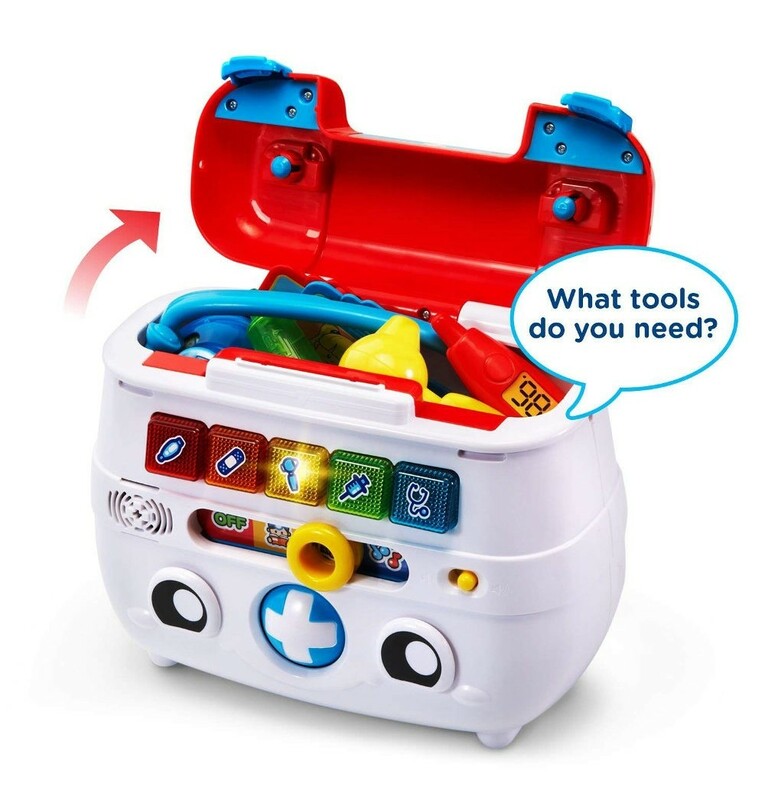 The Pretend & Learn Doctor's Kit by VTech is an interactive medical play set with five medical tools, two patient cards and a storage case for fun on the go! 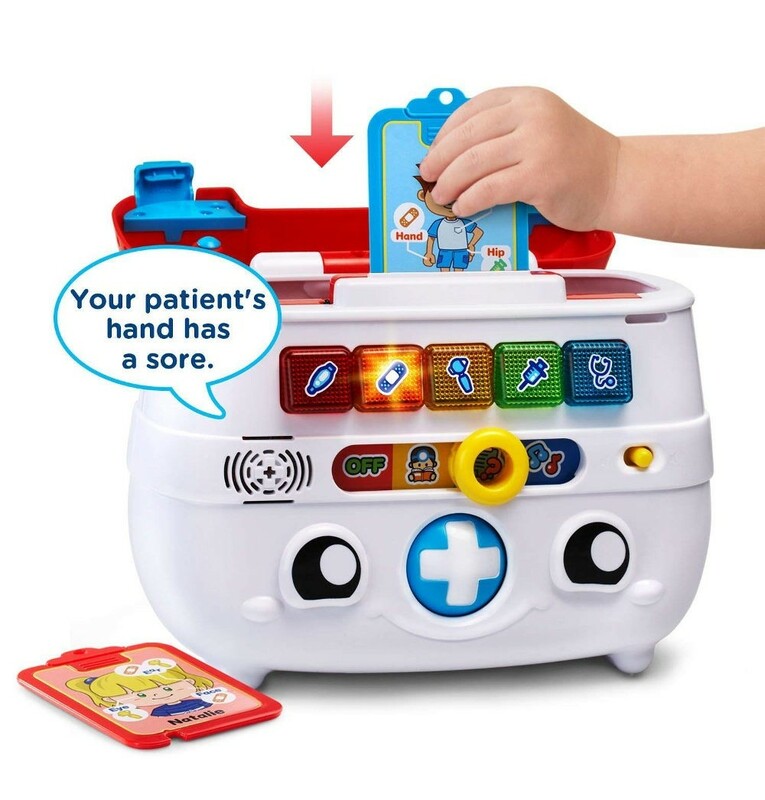 3 fun activities teach simple medical practices, body parts and more! 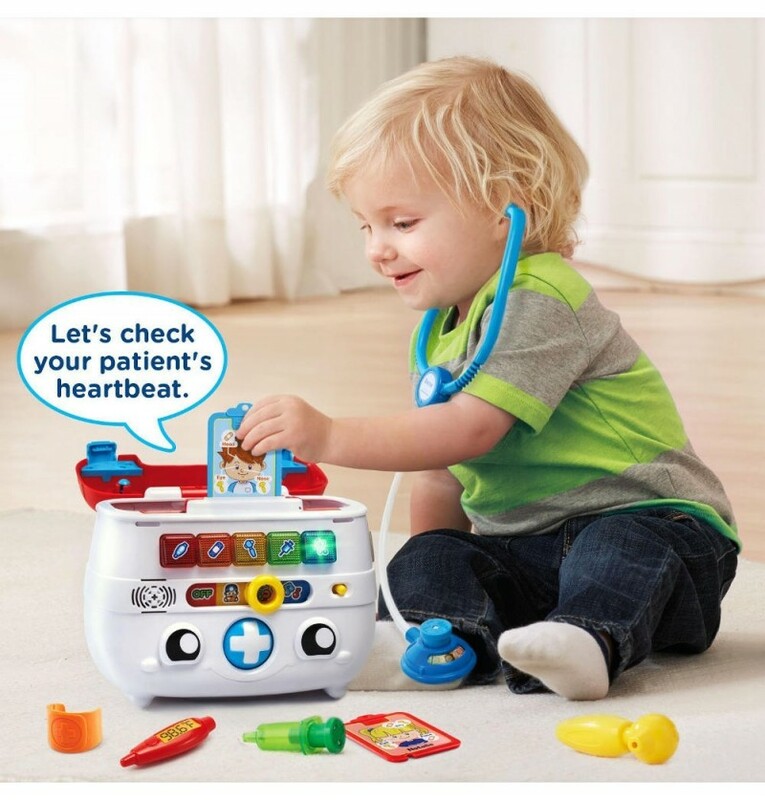 Care for and cure your patients!